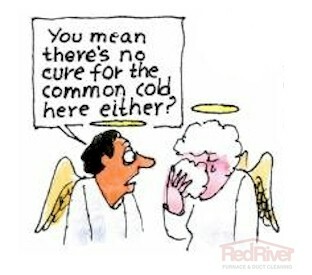 I know you were hoping otherwise BUT there is no cure for the Common Cold!! Nothing is really going to cure the razor blades in your throat, the elephant that is sitting on your face, or hammer to your head. There are only 2 things to do: Make yourself feel better and help fight off the virus. The key to treating a cold is REST. Lots of REST. You may even need 12 hours of sleep so don’t feel guilty, this is good for you and your cold. A warm, humid room is best and will make you the most comfortable. This is the excuse you have always needed to stay cuddled in bed with a season of your favorite show on Netflix. Take it. Kids won’t let you stay in bed? I guess you’re watching Frozen again in bed with the kids!! You must also drink plenty of fluids. Keep well hydrated. Drink lots of water and avoid alcohol and coffee which can dehydrate you. Plenty of fluids can make the mucus flow freely and helps with congestion. I personally find warm drinks are better and my favorite is warm water with lemon and honey. Feels great on a sore throat! Antibiotics are a resounding NO! 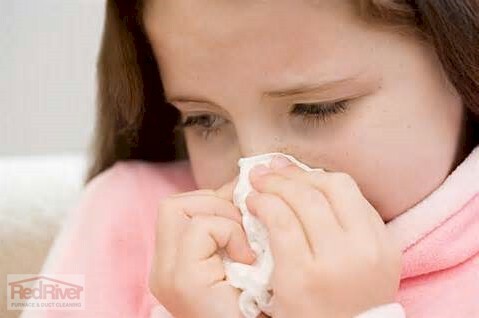 Antibiotics do not cure viruses, and the common cold is a virus. Also you know all those over the counter medications such as cold and flu medications, decongestants, antihistamines or cough suppressants – sorry – NOT A GOOD IDEA. Doctors say they don’t really work, other than as a placebo, and the side effects can be many. They can cause a “rebound” effect which may makes things worse causing more mucus and congestion. What treatments then? For aches and pains or a fever it is recommended that you take Tylenol, not aspirin for this. Also dehydration can make aches and pains worse so again keep hydrated. Coughs? Allows yourself to cough, don’t suppress it. This clears up the mucus and germs and will speed up the recovery from your cold. Sore throat? Gargle as often as possible with salt water – 1 cup of water to ½ tsp of salt. Also try swallowing a teaspoon of liquid honey, without anything else; it’s a great sore throat soother. Don’t drink afterwards so that it coats your throat. As an added benefit honey is known as a natural antibiotic. What about the natural, old fashioned remedies? Vitamin C is believed to have a small effect in preventing colds but unfortunately has no benefit in treating your cold once you have it. Taking Zinc may shorten the duration of a cold but it needs to be taken early in the first 24 hours of your systems. Your mother gave you chicken soup when you were sick and now there has been some evidence to show that Chicken soup can mildly reduce congestion and other cold symptoms. Hot or spicy soups have been a common Asian treatment. Spicy foods can help reduce cold symptoms and increase drainage. If what you eat is spicy enough to make your eyes water then it can also promote drainage. Also a good old fashioned hot bath or steam shower can be beneficial to help clear up your congestion. Did your mother have you put your face over a steaming bowl of hot water with a towel draped over your head? This CAN help! In the end though unfortunately there is no cure for the cold. A cold usually last 1 – 2 weeks and all you can do it wait it out. Good luck, remember this too shall pass!